Hello I am right now in Italy and want to ask if anybody knows the exact adress from the Detomaso factory and the detomaso Museum ? A quick google gave this email address for anyone who wants to see a factory tour (???). Does anybody know the exact adress? try , Via Emilio Salgari 48 Modena. I dont know exactly the Phone number. Call 059- 7102792. Ask for Mr Raffaele or Mirko. the museum is closed,,this is old information. Guess what car is parked in front of thier lobby? Last year (2014) autumn , I pick up some parts on this address, when you make a U turn to the back side you see a lot of DeTomaso stuff outside ,and a Pantera body. Question to someone who knows...anyone. Vignale is who built the Pantera, and I presume the Mangusta for Detomaso. There is a whole bunch of name switching when Ford came into the picture to build the Pantera. It is difficult for me, and maybe others also to keep track of all of this chronologically. First, there is a period, circa 1969, where Detomaso is listed as owning Ghia? Ghia is where the Mangusta design came out of. Then it is said Ford purchased Ghia or at least controlling interest in Ghia. 1969? Maybe that is how Ford initially financed Detomaso for the Pantera project? Then it is said that Ford purchased Vignale outright, i.e., completely. Also 1969-1970? One of the existing photos of the Panteras on "the assembly line" show workers wearing coveralls that clearly say "Ford". Looks like 72 Panteras? I presume that is the Vignale facility (factory)? There is a point at which Detomaso is credited with owning Vignale. Some of the pictures of recently posted here in this thread of the "Detomaso factory" look like some of the pictures of the Vignale facility? Is it the same building/facility? 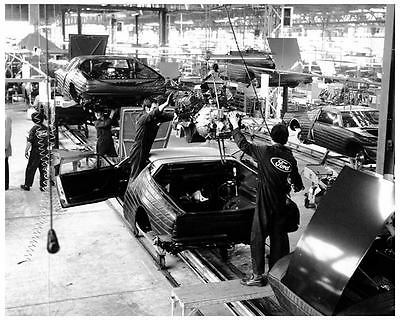 When Ford ended the Pantera project/program and gave it all to Detomaso for $1, did they give the Vignale facility/factory to Detomaso also? The reason I ask is that I recently read that Ford was attempting to reuse the Vignale name on a new car in Europe. Vignale is still recognized as a custom car builder in Western Europe. You would need to own the name or at least lease the name from the rightful owners? Anyone know which is which? In my mind, this really is how at least Ford sets up things to protect itself from lawsuits of people injured in car accidents, etc. They make it so complicated in a dog chasing it's own tail way that it takes years to go through the courts to get at the entity who actually has the liability. I know Ford decided to close down Vignale for whatever reason. I think they probably gave Detomaso the property and the building as well but I am not sure as I know of no automotive journalists who ever covered the subject. When the Detomaso name was purchased a couple of years ago as reported by a Chinese "holding company", was it just the name or the properties also? The property seems to be abandoned and it makes no sense that it is just sitting there and has not been torn down to use for something else? Any of you "merger and acquisition" attorneys out there know for sure on this that you can comment on without legal liabilities?